An inquiry into the role of public transport in Australia will begin after it was moved in the final sitting of federal parliament this week. It was moved on Thursday December 12, the Senate Reference Committee on Rural and Regional Affairs and Transport will inquire into the role of public transport in delivering productivity outcomes matters. The inquiry will look at the need for an integrated approach across road and rail in addressing congestion in cities, the social and environmental benefits of public transport projects compared to road infrastructure projects and the national significance of public transport. Monash University Chair of Public Transport Professor Graham Currie supports the move by the Australian Greens in the Senate. He says Australia lacks national support for public transport compared to the rest of the world, and public transport is vital to the economy – especially in cities. He adds Australian cities is where the economy is growing and each faces congestion, pollution and liveability issues which can be helped by viable public transport operations. "The idea of a national inquiry is a wonderful idea," Currie says. 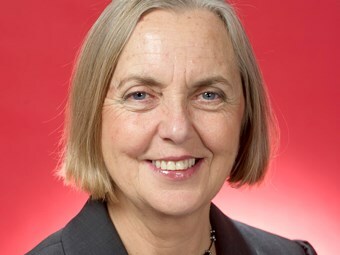 Greens Transport Spokesperson Senator Lee Rhiannon (pictured) says support for public transport is a key plank of her party’s policies. "This inquiry into public transport can make a useful contribution to transport planning but to fully serve its purpose we need to explore the massive imbalance in federal and state funding between motorways and public transport," she says. "It is a critical way to build healthier communities, reduce greenhouse gas emissions, and provide fairer and more equitable transport." The reference committee will report its findings to the Senate by March 27, 2014.